A couple of weeks ago, we reviewed the seven steps you need to follow to win at Instagram selling. But how can you know you’re killing it without a good understanding of your Instagram analytics? We so often spend all our time focusing on content likes, that we forget that like any PPC campaign, there is magic in the metrics. Navigating your Instagram analytics can help boost your sales in a big way. Why? Because they will show you areas that you need to tweak and optimize to improve your conversions, ultimately giving you a clear picture of how Instagram fits into your marketing strategy as a whole. How? By pointing to targeting, frequency and click performance as well as showing you where you’re missing the mark on targeting traffic, optimal post times and missed opportunities to engage with potential shoppers. In this guide, we will show you what Instagram profile analytics you should be concentrating on most, and how to use all your analytics data to tweak Instagram campaigns and content to boost sales. Are you attracting the right type of audience to your Instagram profile, posts and/or ads? 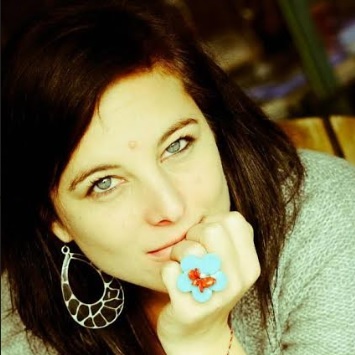 Do they match your ideal potential shopper? Your audience analytics have the answers. Here, you can see handy demographic data like the age, location and gender of your followers and engaged audiences. Why is this important? Well, if your ideal shopper is a younger male aged 10-34, but most of your followers are women aged 25, there’s a disconnect between your account and content. Within the audience analytics tab on your business account, you can also monitor when your audience is most engaged, according to the days of the week and hours of the day. This will help you plan your post times, or refine when you set your ads to show. Within your post analytics, you will be able to track your content’s interactions, engagement, follows, reach, impressions, post saves and the number of comments you’re getting on posts. This enables you to see which posts are winning in terms of reaching the right audience to drive traffic and awareness – both of which are vital to boosting sales. Instagram stories, designed to take on the likes of Snapchat, have pushed Instagram’s reach in a huge way. In one report, it was stated that as much as one-third of the most viewed Instagram Stories are from businesses. 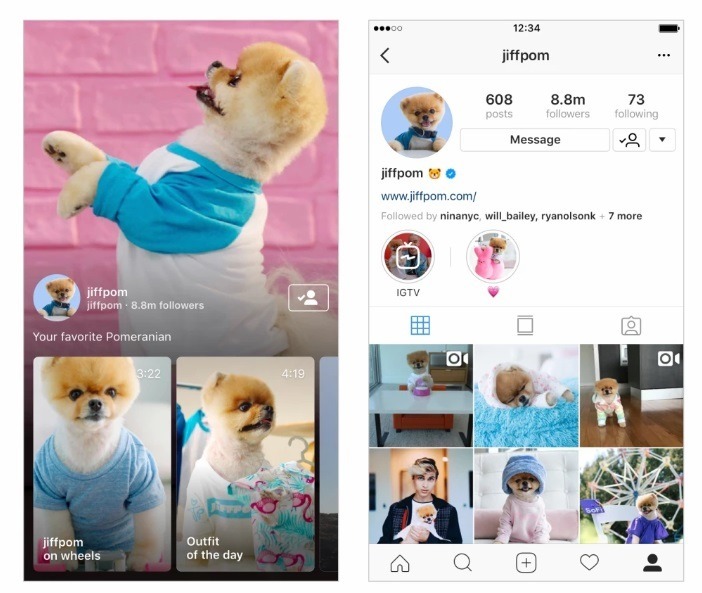 If you want to kill it with your Instagram marketing, stories are a big part of your content plan, and optimizing your content based on your analytics data is key. Within Instagram stories analytics you aren’t just able to track the obvious – such impressions, reach, and replies. You are able to see how many people are skipping your content, opting to take another look at your content, skipping your story content altogether, or clicking through to your next story. If you’re running Instagram promotions, you can access their performance in real-time through Instagram Insights. This is particularly handy if you want to keep a close eye on a new promotion and optimize or pause it in real-time despite being away from your Facebook Ads Manager. IGTV is Instagram’s latest content product. Launched in June last year, IGTV is a standalone app that allows for longer videos. This means that brands can now harness the power of interviews, discussions, instruction videos and more, within the Instagram platform. For now, IGTV doesn’t have sponsored options, but once you load content, you can link it to an Instagram story where users can then swipe up to go to IGTV video content. 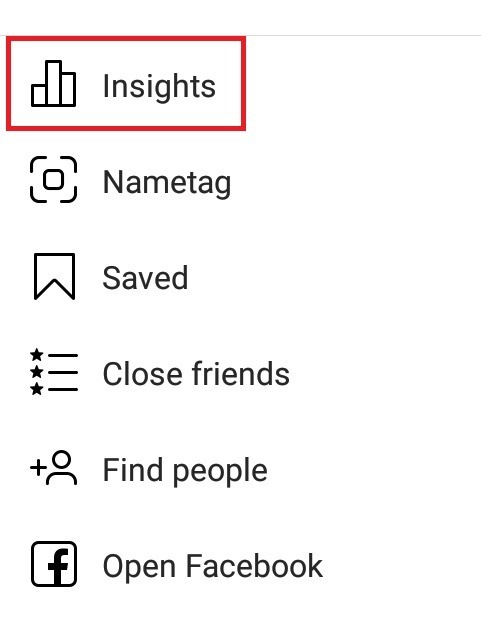 To get IGTV insights, you need to access them through the standalone IGTV app by clicking on a posted video and then the ‘…’ icon at the bottom. Next, click ‘View Insights’ and you will be able to access video insights such as views and retention. Alternatively, you can click the IGTV icon from your Instagram business profile. From here you will go to your IGTV channel, after which you can follow the steps above. Pro Tip: For IGTV (and other video content), you want to pay close attention to your average viewed rate percentage. This gives you the percentage of the video that viewers are watching. Now that you know what data you have at your fingertips, let’s look at what you can do with that data to boost sales. Knowing the times and days that your target shoppers (and followers) are most engaged is key to finding not only optimal post times for your account content, but also the best times for conversions. If your target audience isn’t active on certain days – or at certain times of the day – this can also help you plan your campaign scheduling. How? By pausing ads, and saving budget, at times when your audience is less likely to be active. By monitoring click-throughs to your site, email or account, you can see which sales funnel levels need to be optimized and tweaked. For example, if you have lots of account visits (by users who match your target demographics), however no follows or web-clicks, then you need to work on brand awareness tactics for your account. If your content is getting views but no link clicks or engagement, then you may need to tweak your content objectives or targeting. This is the percentage/number of users engaging directly with your brand stories through messages. Having a low CTR but a high reply rate can point to a successful piece of content, as it will enable you to engage directly with your shopper. 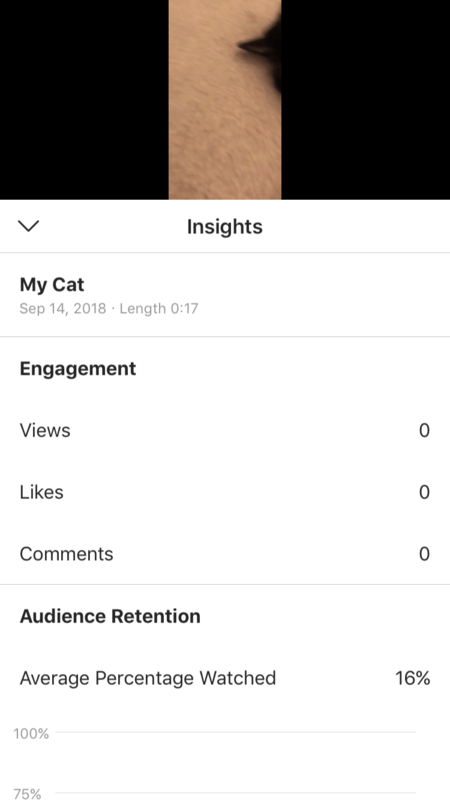 This metric shows the number of times users have swiped out of your story to move on to the next story in their account without clicking (swiping up) for more info. Exits happen if users swiped left (rather than tapped) to the next user, closed Instagram or clicked the top-right X while viewing your content. If your content or promotional story has a high number of exits, it could mean that either your targeting is off or your content needs a rethink. With each story, you will be shown taps forward and taps back. Taps forward tell you how many users are skipping one of your stories for the next. Too many of these will point to content that may be irrelevant, uninteresting or confusing. Taps back show you how many users are going back to look at your previous story again. This either means they liked your content and want to see it again, or it ended too quickly and they may desire to finish viewing. Features allow you to track whether your story has been featured for a particular location, sticker or hashtag that you’ve used. Actions will give you the number of people who click those elements in your stories. By tracking your account’s follower count, impressions and reach for your account, content and promotions, you can optimize for better brand awareness. You want as many impressions and as much reach as possible to build brand awareness, but you also want to ensure the people you’re reaching are within your target audience. There is no use gaining 50 new followers a day or having a high impression rate on your content if those users don’t match your potential shopper demographic. If your account and content don’t show good comment, reply and engagement metric numbers, then you need to go back to the drawing board. Ultimately, Instagram is a social platform; having people engage gives you a chance to engage back while also expanding your followers and reach. Therefore, you want to look at all your content metrics (impressions, reach and engagement) as a whole to see the full picture. Mastering Instagram analytics is very important if you want to boost sales. Without a good understanding of the metrics in relation to your objectives, you can’t optimize for the best results. Ultimately throwing away time and money. This entry was posted in eCommerce Traffic, Instagram and tagged Driving traffic to online store, eCommerce, eCommerce marketing, eCommerce PPC, Facebook PPC, Instagram marketing, Instagram selling, online store traffic, traffic ads. Bookmark the permalink.